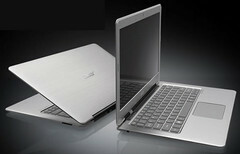 Acer vice president Scott Lin believes tablet sales will slow as ultrabooks gain better footing on the notebook market. According to a report from DigiTimes, Lin sees thinness, lightness and entertainment features as the major selling points of a tablet. Ultrabooks, however, should be capable of those same features while providing productivity and a keyboard at the same time. Due to these advantages, Lin expects consumers to shift the focus back to notebooks in 2012 when major vendors should have already released their respective ultrabooks. The source points out that 62.5 million tablet units are expected to ship before the end of the year. Acer, meanwhile, has been having difficulty in the notebook and PC market, but seems to be betting big on the future of ultrabooks. Acer’s first ultrabook, the Aspire S3, is expected to launch in a few weeks, although official prices are still a mystery. A retail price below $1000 or even $900 would be a great boon to the Taiwanese manufacturer, especially against the early ultrabook competition. Lenovo and Asus will release their own respective ultrabooks before the end of the year as well, although the Lenovo will retail for a hefty $1200.